It's almost at the last minute, but I've made the gift basket I'm taking to the stables' Open House for a raffle or silent auction or whatever they're doing with it. 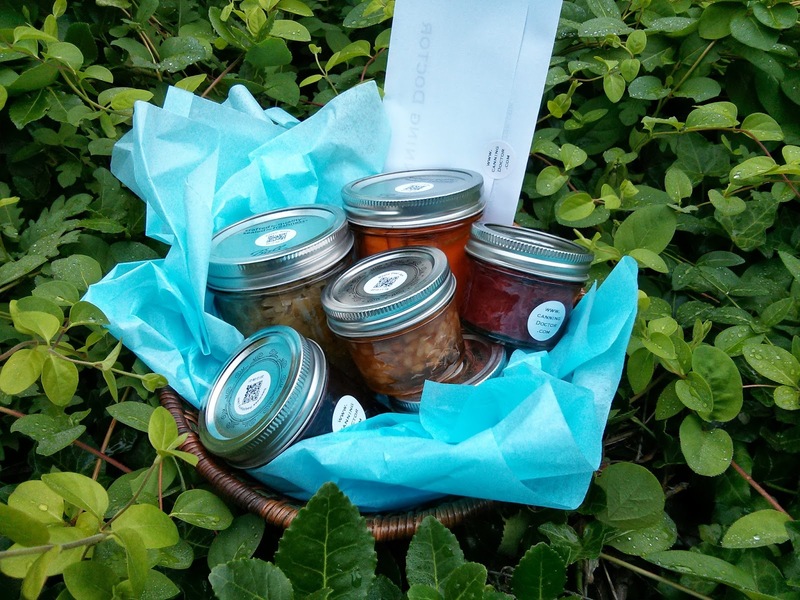 It has: Dilled Carrots, Pepper Relish, Seedless Raspberry Jam, Maple Pear Jam, Violet Jelly, and Spicy Cranberry Rhubarb Compote. Plus a voucher for a canning lesson - like I did last year for the PTO. I tried to avoid foraged ingredients and was a little disappointed I couldn't go strawberry picking soon enough to add some strawberry but this will have to do. Hopefully it will be well received.